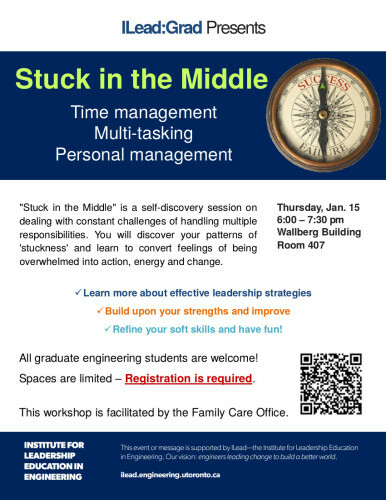 ILead:Grad is hosting a workshop on multitasking and time management. Learn how to balance your personal and professional responsibilities as a grad student and in the workplace. The event will take place on Thursday, January 15 at 6:00-7:30pm in the Wallberg Building, room 407. This workshop will be facilitated by the Family Care Office .